The day after taking down my MA final show in Bristol I jumped on a train to Aberdeen, with a boat connection to Shetland. 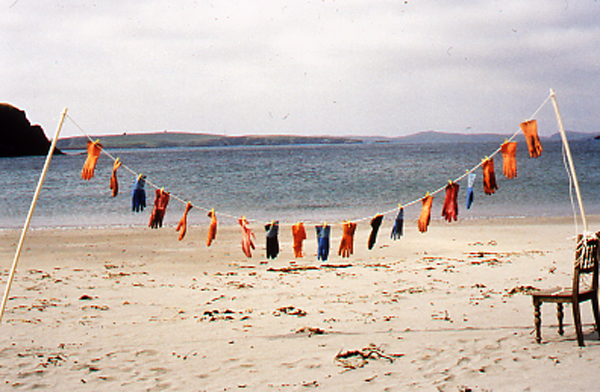 I spent one month (July 2004) at the Booth in Scalloway, on a collaboration residency funded by Wasps Studio, Glasgow and Shetland Arts Trust. During the residency I collaborated with Shetland artist Joyce McDill. Joyce said two things to that formed the work 'You always find gloves on the beach' and 'Everyone uses storm pegs up here'. I explored Shetland by bicycle to find inspiration, held workshops in enamelling and book arts, and gave artist's talks to local groups. 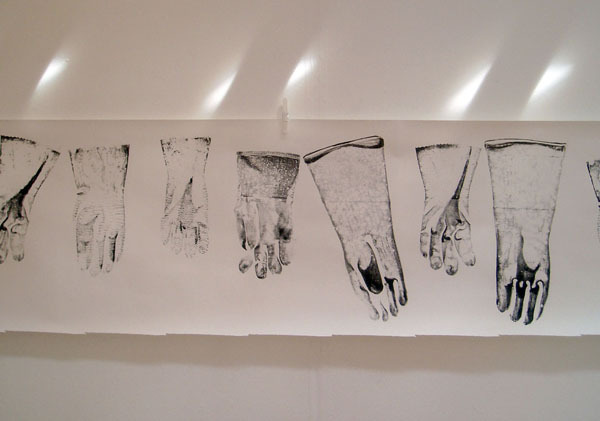 Work produced during and after the residency was exhibted at the Bonhoga Gallery, Shetland in May 2005. 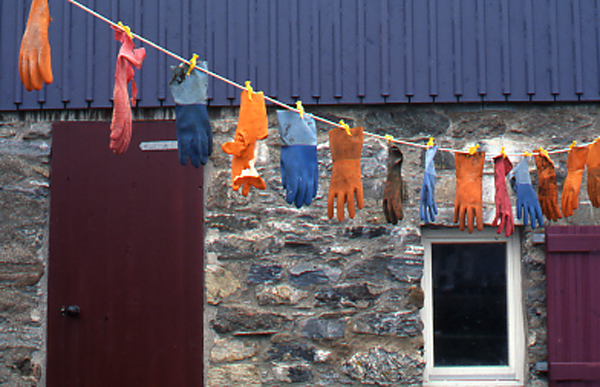 The exhibition was called Finding Gloves. A series of 16 postcards were printed as part of the exhibition and packaged in gloves and fishing twine. 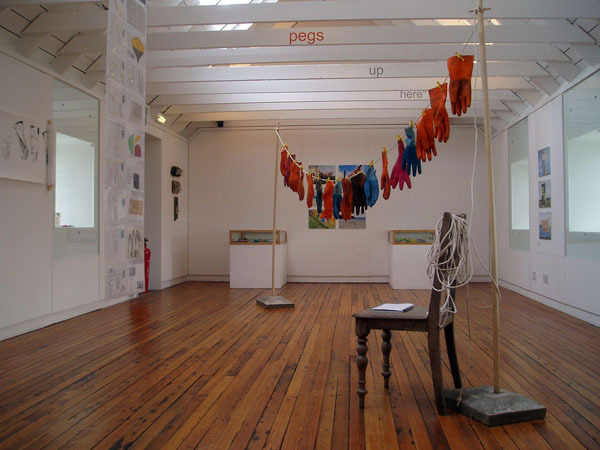 Other local artists were also invited to contribute including Susan Timmins and her amazing collection of clothes pegs! 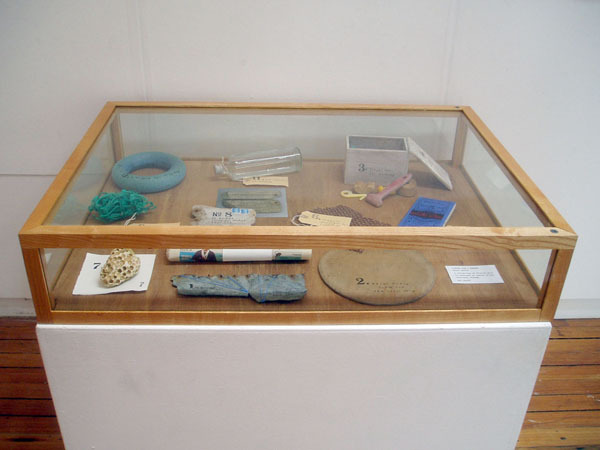 Pieces for a Museum: A collection of found and adapted objects typical to Shetland.